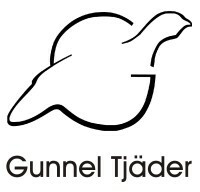 I have been running my own arts and crafts business in Kiruna since 1996. In textiles, I work with textile prints, screen print, on wool. 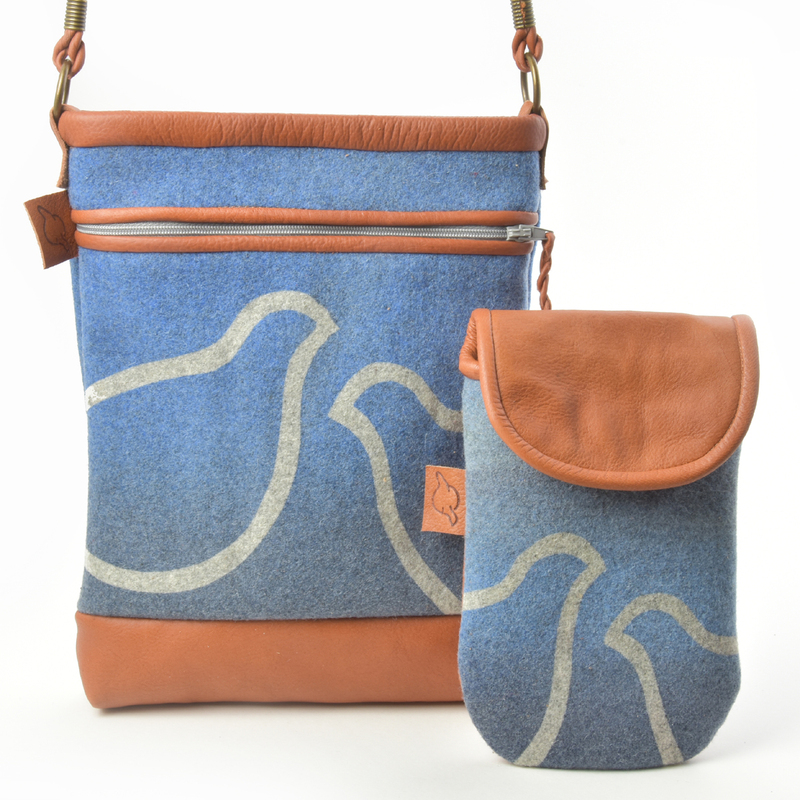 The wool prints become both large-scale artworks and décor on my reindeer leather products. 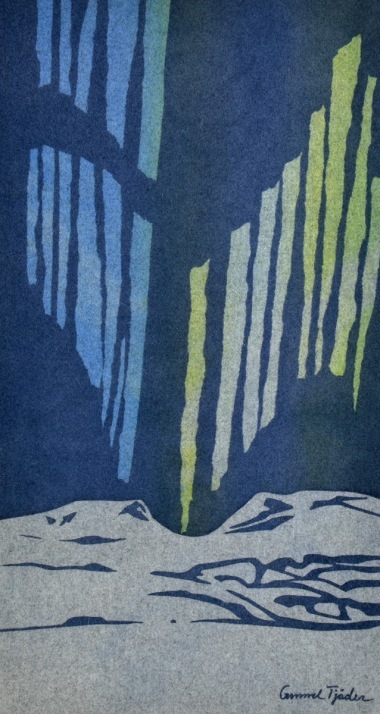 The Northern Lights are a recurring theme in my wool prints, both large and small-scale. 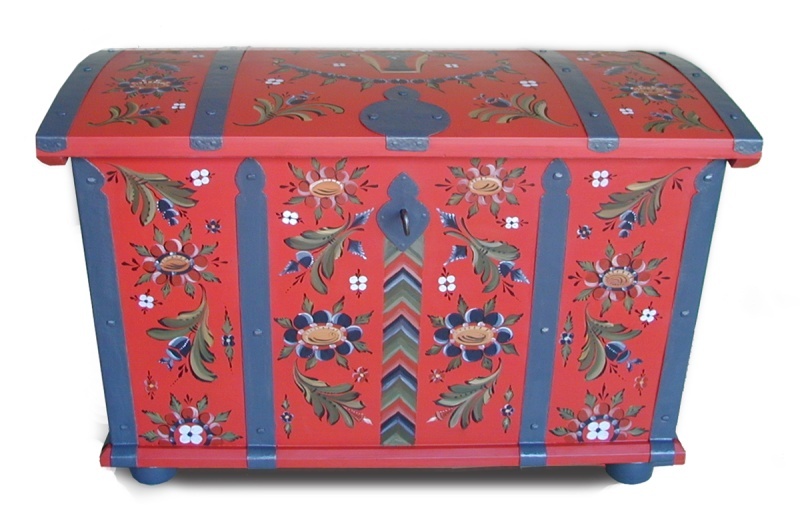 I have my roots in the village of Kitkiöjoki in the north of the Torne Valley (Tornedalen), so I have a soft spot for the Torne Valley style of folk art painting. I gained my knowledge of folk art painting, ancient painting techniques and materials when I was a student of the late Paulus Aili, the conservator. In 2003 I was awarded the Gold Diploma of the Colour Academy in Stockholm for decorative painting, having completed the Academy's advanced training course in decorative painting. I find inspiration for my creations in the Torne Valley, in my home town of Kiruna, and in particular from fantastic Lapland. Key pouch in reindeer leather with the decor "Giron" in hand-printed wool. Handicraft in wool and reindeer leather. 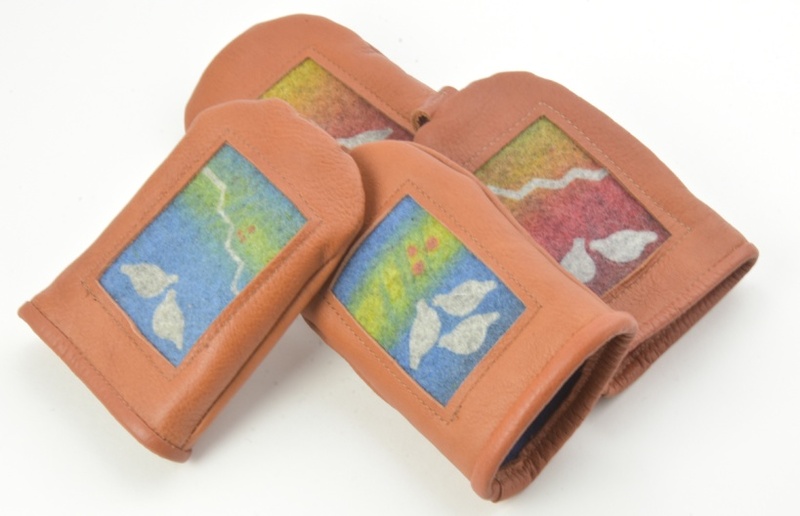 I combine the naturally tanned reindeer leather with wool in different forms – as hand-printed motifs using screen technique, and/or embroidery sewn by hand or machine. I often use several colours in a wool print, which gives exciting – sometimes unexpected – colour transitions and effects. The ptarmigan and the Northern Lights are recurring motifs. 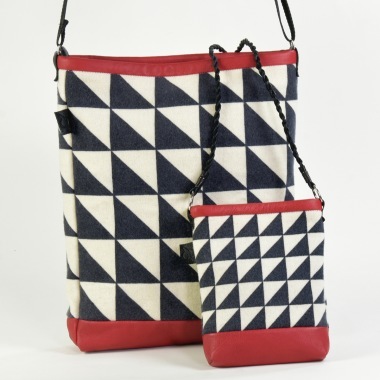 Key pouches, mobile phone bags, handbags, and shoulder bags – these are examples of my products. Mobile phone bag and shoulder bag in wool and reindeer leather. The bags comes in several colours. The northern lights, difficult to catch and magical to see, are an inspiring natural phenomena of luminious shapes, colours and movements in the dark winter sky. Here Lapporten is the stage for it's spectacular dance in the sky. "Polardance" is hand printed on wool using a screen print technique. The colourful traditional painting of the Torne Valley is one source that inspires my folk art paintings. Another technique I use is glaze-graining, which imitates different types of hardwood. 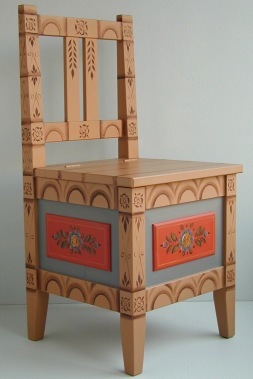 Then as now, the furniture is painted with hand-mixed linseed oil paints. The décor is painted freehand. A beautiful setting, a piece of furniture that has regained some of its original splendour, and above all a satisfied customer – those are my aims for the completed assignment.. Traditional Torne Valley storage chair. Traditionally for hay, useful for storing socks and gloves. Wood work by Lena Gustavsson. The chiffonier had been paint-stripped using alkaline when I received it. 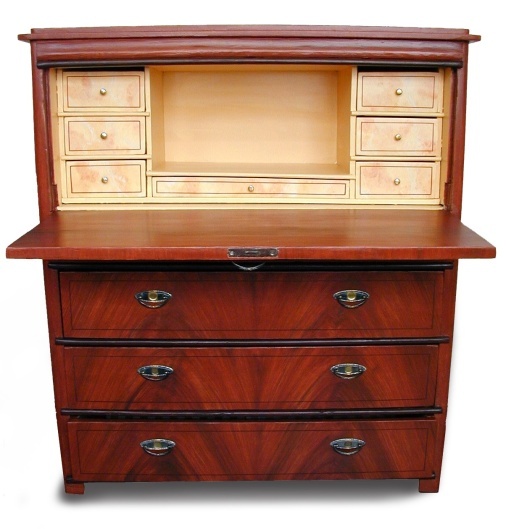 Here it has regained some of its former glory through mahogany glazing, and a contrasting yellow colour on the inside.